East Fife striker Anton Dowds has been named the Ladbrokes League One player of the month. 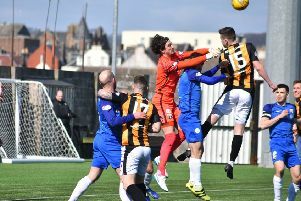 The forward grabbed two goals last week at Stranraer as the Methil men continue their pursuit of a play off place. Dowds picked up his award ahead of East Fife's trip to Dublin this weekend.